Last Sunday was the final regular vespers service in the chapel for this academic year. I preached on the gospel text of a poor widow who makes an offering at the temple (found in Luke 21). Jesus comments on her generosity, and frequently this text is used as the basis of an appeal for generous giving. A more careful reading of the text produces a very different result: it is not a simple story about a generous gift from a poor woman, but an indictment of injustice. It requires a more careful reading. This more careful reading, for me, comes as a result of my journey in faith and learning. I was raised in the Baptist tradition, and learned at church to read scripture at face value in a way that often supported the status quo. I did learn at home, from a father who taught biblical studies, to read far more critically. I attended a seminary that invited me to read text openly and historically, and to discover new perspectives, and in the academic environment of Mount Allison, I have continued to learn, and to teach, critical reading methodologies. Jim Wallis, the evangelical founder of the Sojourners organization, a ministry of social justice, frequently tells the story of being in a conservative seminary working on a project with other students that led them to look up the biblical texts that dealt with the poor; he notes his surprise at discovering just how many of them there were. He writes, “We looked for every reference to poor people, to wealth and poverty, to injustice and oppression, and to what the response to all those subjects was to be for the people of God, and we found several thousand verses in the Bible on the poor and God’s response to injustice. We found it to be the second most prominent theme in the Hebrew Scriptures – the first was idolatry, and the two often were related.” It was a different way of reading scripture than what he had learned at church, and was learning at the seminary. The text of the poor but generous widow speaks differently when read historically, or when read through a feminist lens, or from the perspective of the poor. The text speaks of one who is not voluntarily giving generously, but who has been compelled under a religious system that demands offering for forgiveness, even after she has been cheated out of her property. The invitation and the challenge to read text differently is given by Dietrich Bonhoeffer, “to see the great events of world history from below, from the perspective of the outcasts, the suspects, the maltreated, the powerless, the oppressed, the reviled – in short, from the perspective of those who suffer.” Over the years, I have certainly had my eyes opened to reading text from different perspectives, and I still am learning. In recent years I have been supervising students who have undertaken directed studies on liberation theology; they explore ways in which the scriptures are read from the perspective of those who suffer, and they illuminate the way in which the scriptures speak to the poorest and most marginal. We need to keep learning to read text differently. We need to learn to read our culture as we read text, differently, from the eyes of the marginalized, dispossessed, downtrodden, the least in the world. This means reading, listening, sharing in life with those who have different perspectives; that it is this process that will challenge and even change our own way of understanding. To read the stories of faith not as we want, but as they speak, is to see the world differently, both as it is and as it can be. 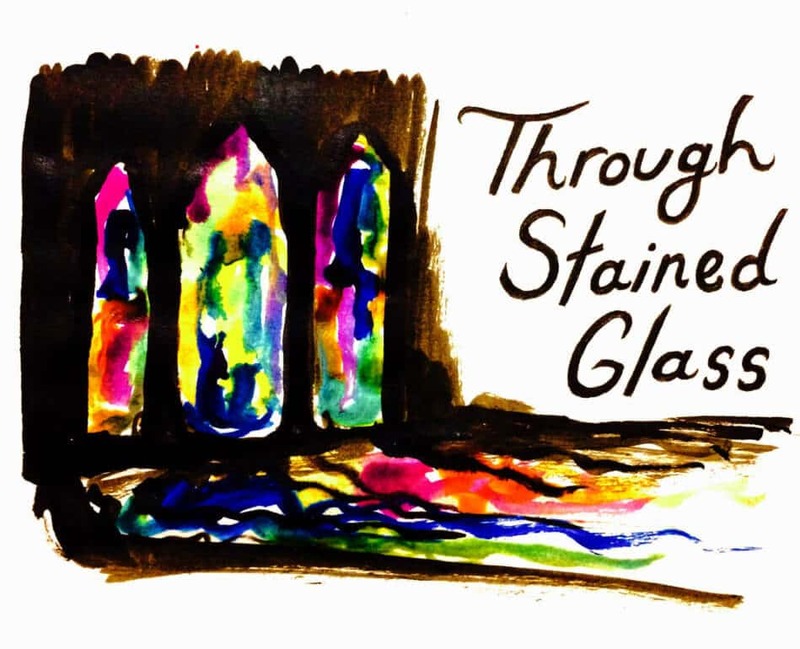 This is not to see the world through rose-coloured glasses, but more thoughtfully, through stained glass.